Jeff and Tonda have formed two mobilizing organizations which sending missionaries and Christian workers to and from French-speaking countries: Director of Jusqu’aux Extrémités de la Terre (JET) since 2002, a member of FMF International since 1997. 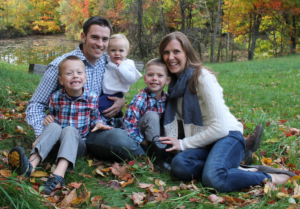 Jeff recently completed his Doctor of Philosophy in Religion degree and was conferred a Doctor of Ministry (D.Min), Youth Ministry degree in 2012, which focused on the mission vision of the missionary to plant reproducing/sending centers. 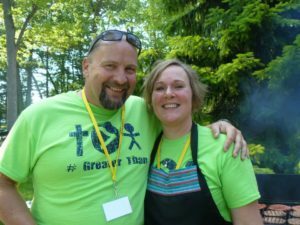 With limited opportunities with adults, Jeff and Tonda focus their time, energy, and money toward reaching young people who may further carry the Gospel. The vast majority of present day missionaries commit to full-time cross cultural ministry before the age of 25. Pray that the church in Quebec would multiply through this generation. The Georges are in northern Mozambique with SIM where they train, teach and disciple national leaders within the church. They also work among one of the least reached people groups in the world called the Yao. They love what they do and where they serve. Please visit their blog to connect more with them at georgesinmoz.blogspot.com. 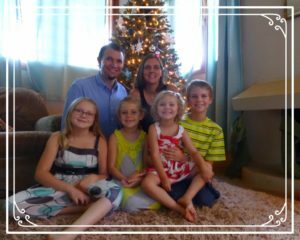 The Bekins are excited to share the gospel, disciple believers, and train some for leadership in Croatia as church-planters. Their ultimate desire is to see healthy Croatian churches multiplying and even sending disciples out to other nations. It is their desire to evangelize the lost and disciple God’s people. They want to see believers form a healthy church! They want to see qualified leadership raised up! They would love to see a church become independent and, Lord willing, even multiply! This is their goal and we are excited to see how God might accomplish this. 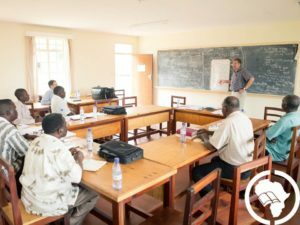 Central African Preaching Academy exists to exalt Christ and strengthen His church in Africa by training pastors to understand, live, and effectively communicate God’s Word. We are a part of The Master’s Academy International, a non-profit organization providing educational and financial resources to a fellowship of biblically sound training ministries worldwide. The primary goal of training at The Expositors Seminary (TES) is to teach, disciple, affirm, and boldly commission men of God whom He has called to shepherd His flock. This is accomplished by a combination of formal instruction in the classroom with a comprehensive mentorship program, which incorporates increasing levels of student involvement in the hands-on learning of practical ministry skills in the context of a local church. 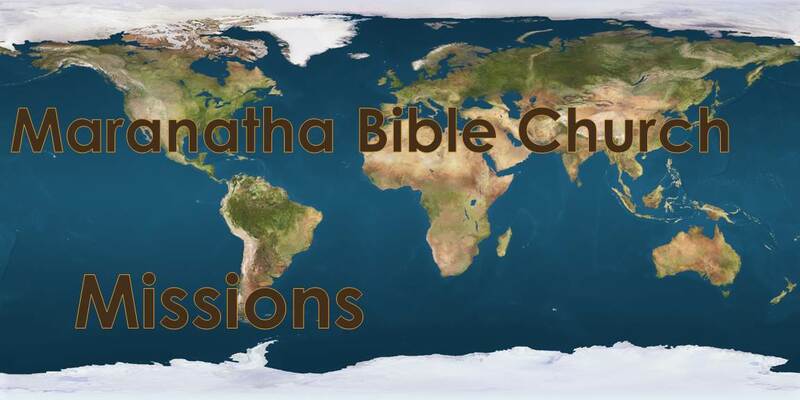 Maranatha Bible Church is one of several church campuses comprising TES, commissioning faithful men to ministry here and around the world. Our mission is to provide Christ-Centered Camping that will enrich the lives of men, women, boys and girls mentally, physically and spiritually. This is accomplished by providing year round retreats and summer resident youth and family camps. “Ao-Wa-Kiya” means “Banded Together for a Purpose”. 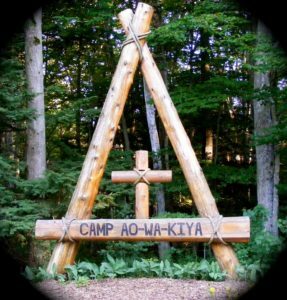 The camp organization is made up of churches in and around West Michigan. They have come together to see their students know Jesus Christ in a very real way. The members of supporting camp churches are given the opportunity to use their talents and gifts from God as they come together to minister in our all-volunteer, Christian youth camp. Thousands of volunteers have “banded together” for over 55 years and worked alongside others to give campers a Christ-centered camping experience. The Deens have served in various roles at Camp Ao-Wa-Kiya, but are currently serving as Director and Food Service Manager. 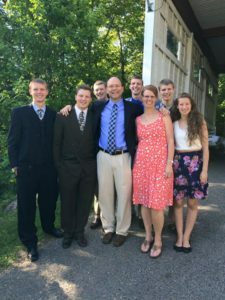 They have two sons in college and are dedicated to serving the church through emphasizing the teaching of God’s Word, the Bible, in a Christ-centered camping environment.